So what is this really about? 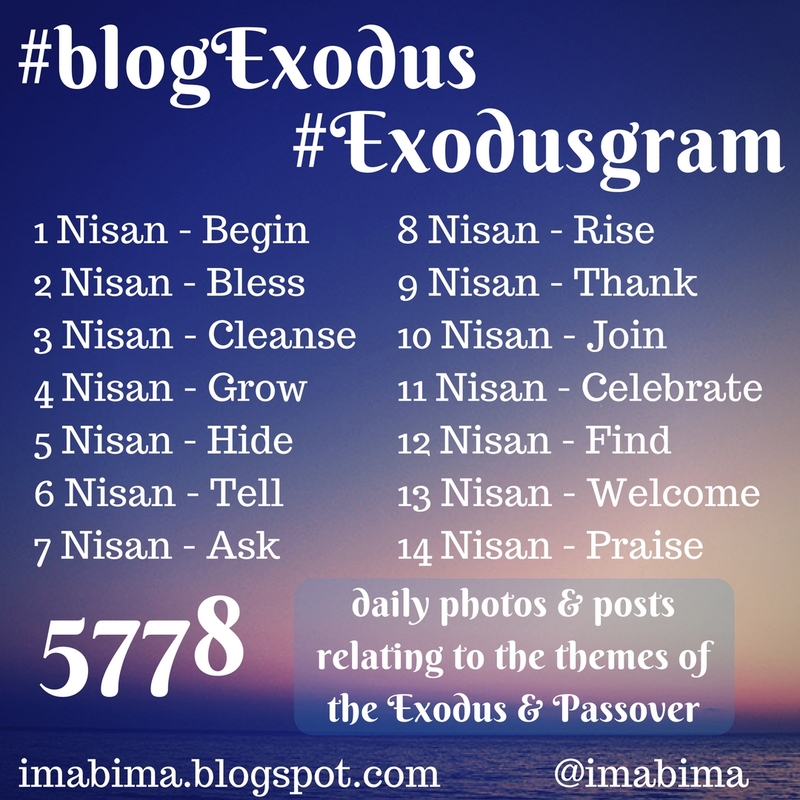 #BlogExodus is really what you want to make of it. 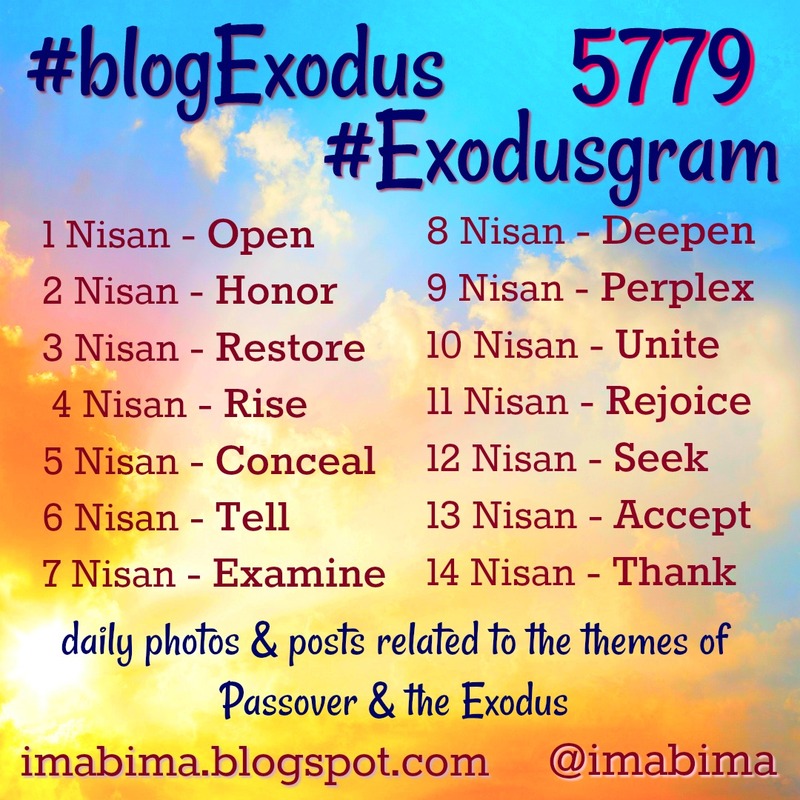 I've provided topics for the first 14 days of the month of Nisan. 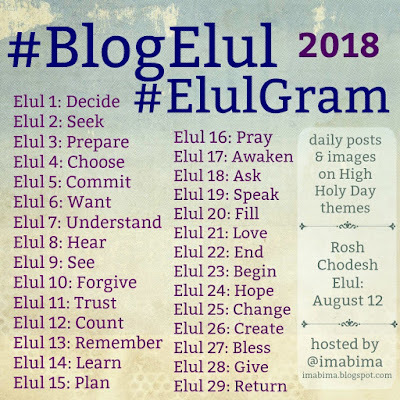 What you do with it is up to you -- write a blog post, tweet, Facebook, tumblr, or something that I haven't even thought of yet! Use the hashtag to share your post (I put it into the title of each post). 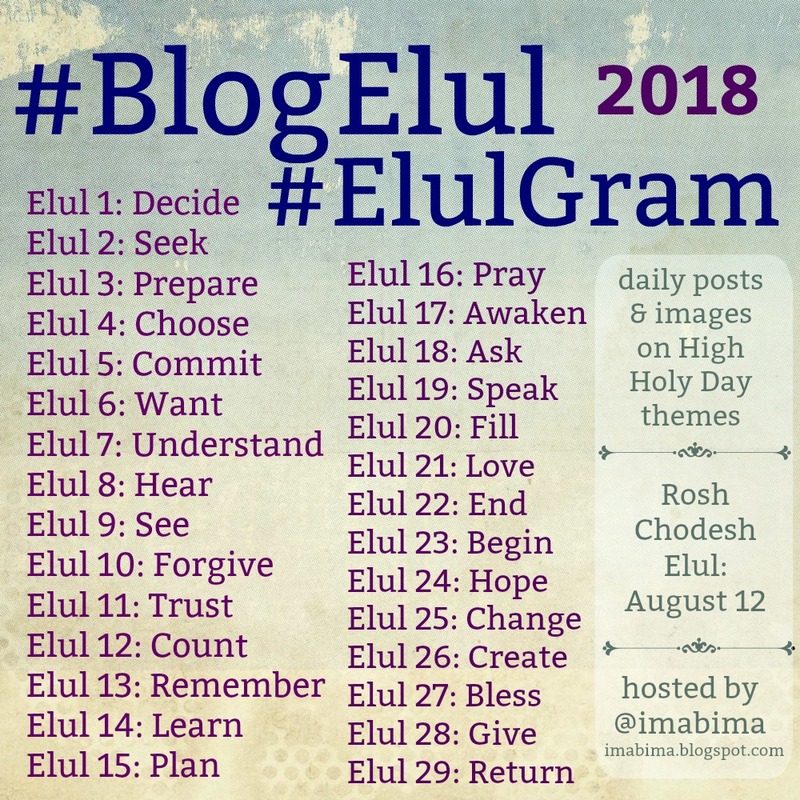 It's a great way to kickstart a blog or rejuvenate your languishing blog or just get yourself ready for the holiday of Passover! 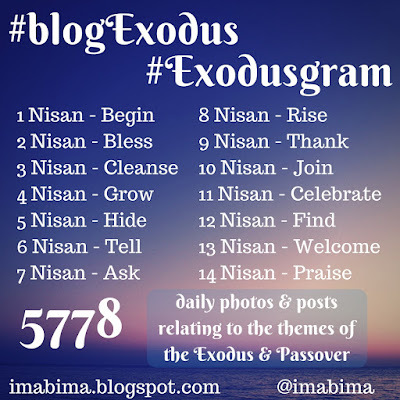 I will be posting my #blogExodus posts here on this blog and I will tweet them out at @imabima. Maybe you don't have a blog? 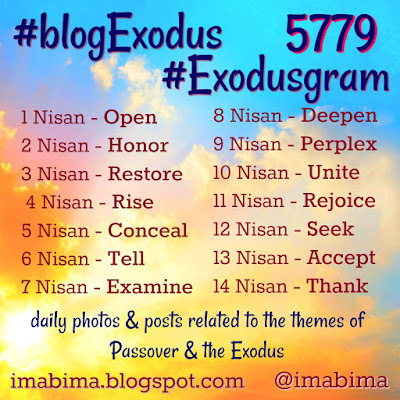 I'll post an "open thread #blogExodus" each day on my Facebook page as well, so you could just post your thoughts, photos, comments, or haikus there. There aren't any rules, so maybe you don't like the order of the topics? Maybe you want to write on only a few of them? It doesn't matter. It is what you make of it.